An essay introducing my “top ten” non-fiction (i.e. documentary) works, as compiled for the 30th edition of the IDFA film festival in Amsterdam. My secular education didn’t emphasize this kind of self inquiry. Instead, I was taught to use the tools of amplified perception to look outside myself, to measure and study the world—and that in these acts of measurement and description, visions and epiphanies could be had. This led me to an early fascination with visualizing data, through projects like WordCount and 10x10, which seemed to be searching for secrets they never quite managed to find. The 1977 film, Powers of Ten, was a revelation to me. 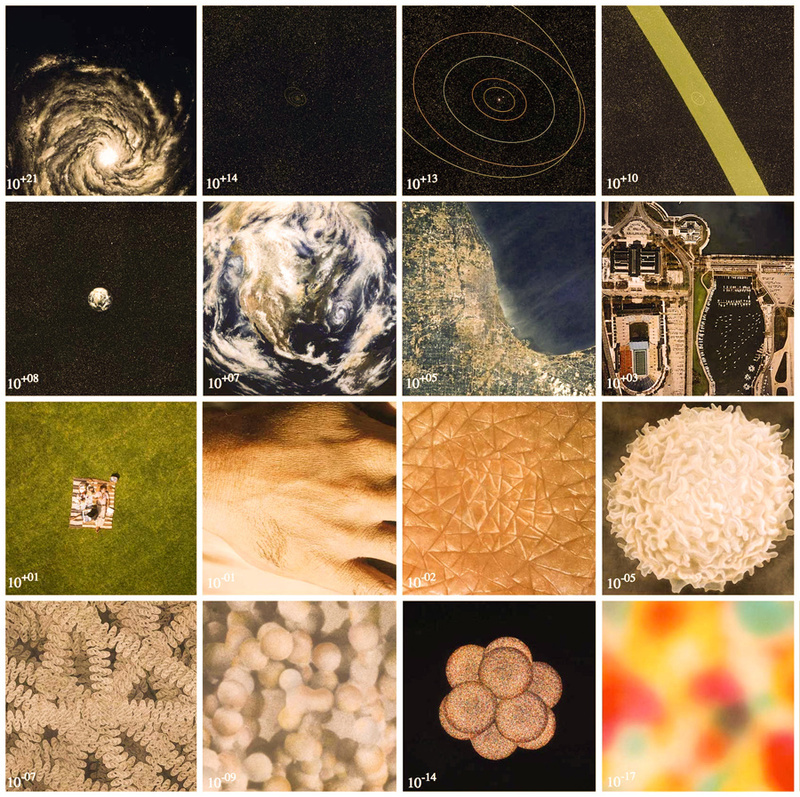 Husband and wife Charles and Ray Eames were commissioned by IBM to celebrate the powers of magnification, using telescopes and microscopes to portray the visible universe at different scales of perception. As it turns out, we’re roughly in the middle—our abilities to see the very big and very small are more or less the same. This sense of being “at the center” seems to be the essence of life. The insight of Powers of Ten is that each scale of perception has its own set of “centers,” containing all the scales below it, and contained by all the scales above it—so that human bodies contain cells, molecules, and atoms, but are also contained by cities, planets, and galaxies. Godfrey Reggio’s 1982 film, Koyaanisqatsi, shows what happens when one scale of life grows out of balance, and begins to affect the scales of life around it—it depicts the triumphant advances of human civilization, alongside the tremendous destruction those advances have wrought on the earth. 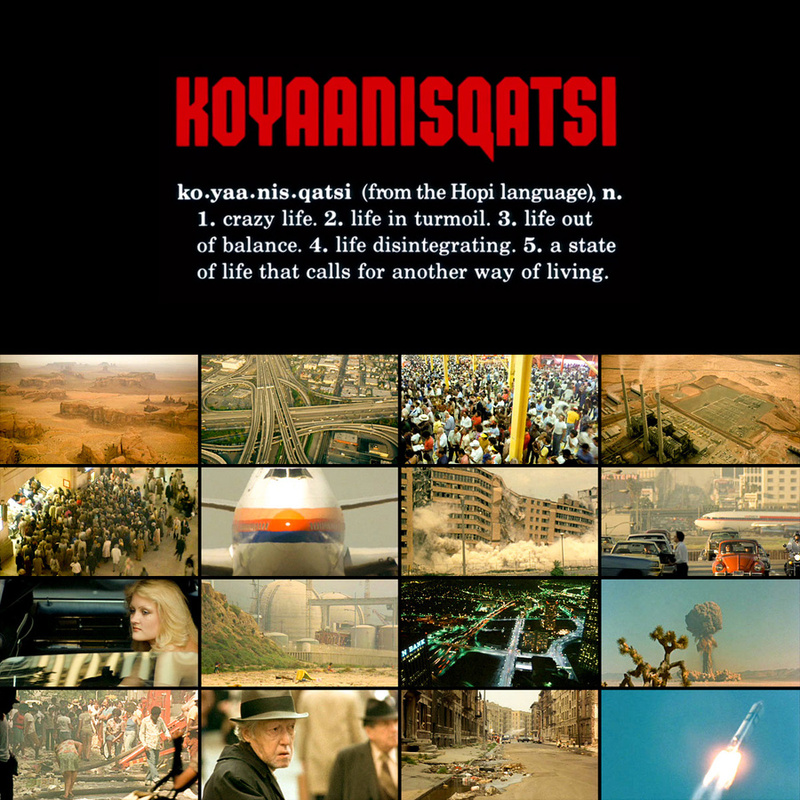 Koyaanisqatsi helped me see the human species as a single living organism, an insight fundamental to projects like We Feel Fine and Network Effect. In my early thirties, after a decade of traveling the world and making projects about the “planetary human organism,” this hyped-up domain of global techno-futurism no longer seemed as compelling to me. 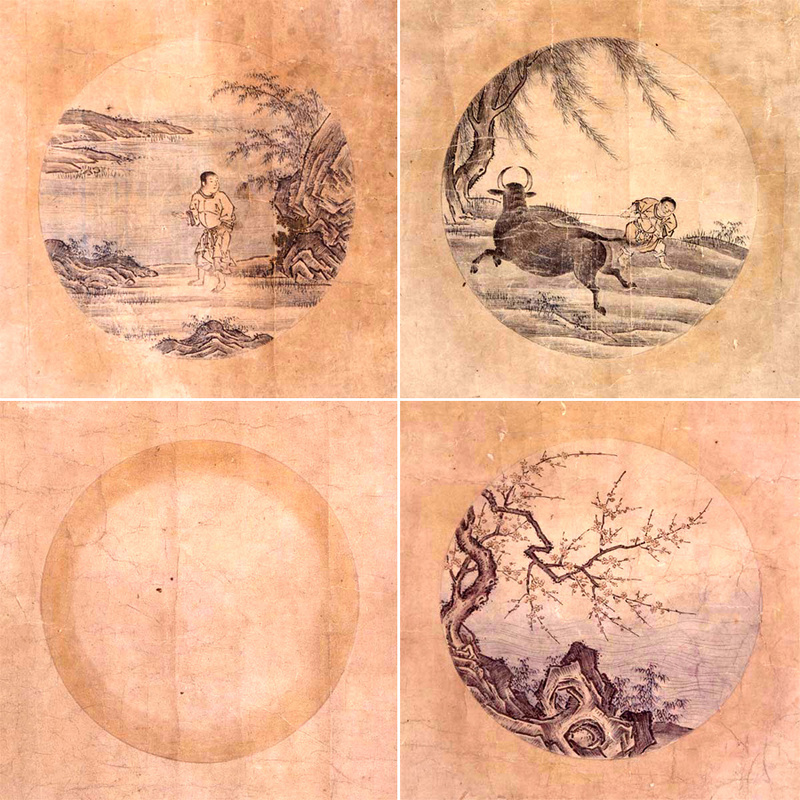 Instead, I became curious about the so-called “inner world”—I started exploring meditation, psychedelics, and shamanism, and went through a frustrating period of “stuckness.” It was during this time that I first encountered the Ox-Herding Pictures, mentioned above. 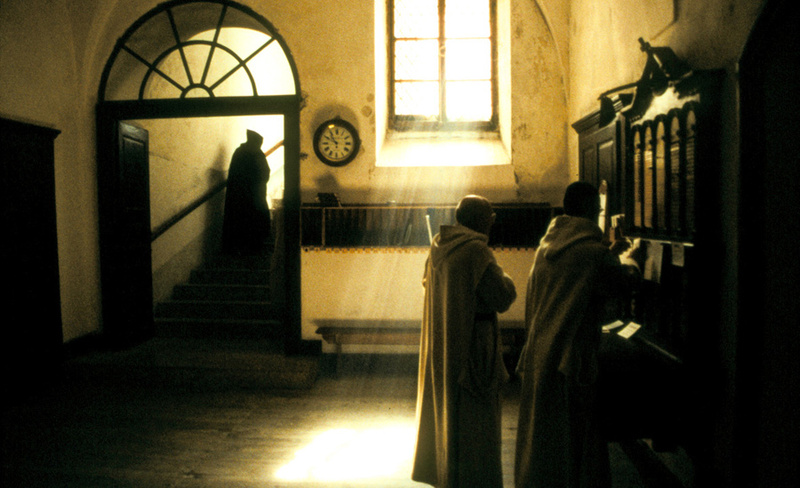 I learned of Philip Gröning’s 2005 film, Into Great Silence, which documents the daily rituals of cloistered monks in a Carthusian monastery in the French Alps. Gröning wrote to the abbot in 1984, requesting permission to film, and finally received an invitation eighteen years later. I wondered: what had these monks discovered that made them want to give up the world? In my own life, while doing a project in Bhutan, I met Rinzin Lhamo, a radiant nun who was about the same age as me, and who told me she planned to enter a cave when she turned thirty, to live as a hermit for the rest of her life. These choices seemed to contradict everything I’d been taught to believe: that life should be lived as fully as possible, and that a full life meant experiencing the world, doing good work, attaining success, falling in love, and raising a family. Life seemed to be about something else for these cloistered contemplatives—what did they see that I didn’t? 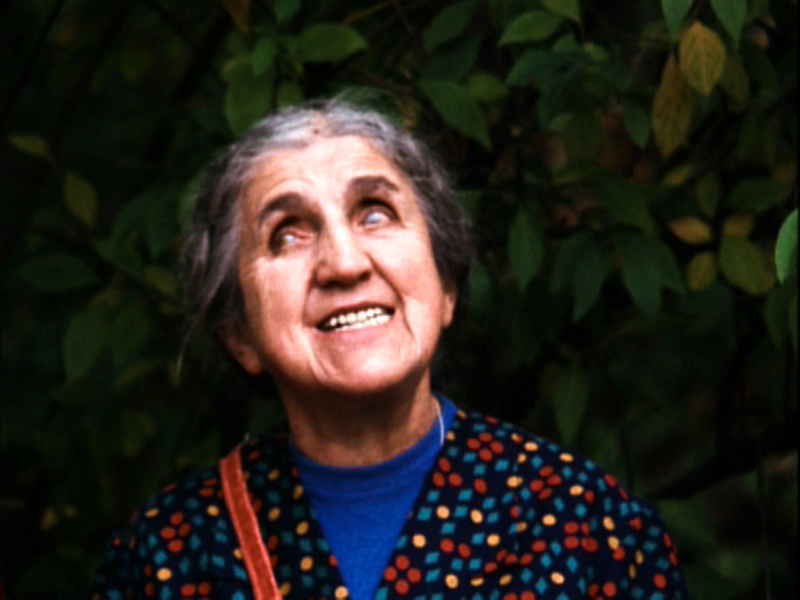 Around that time, I encountered Werner Herzog’s 1971 film, Land of Silence and Darkness, portraying people who live in a state of constant deafness and blindness, not by choice but by fate. Some of these people developed their conditions over the course of their lives, while others had been deaf and blind since birth. Have these people returned to the root and the source? Did they ever leave? What is it like to inhabit that kind of center? Who can answer such questions? 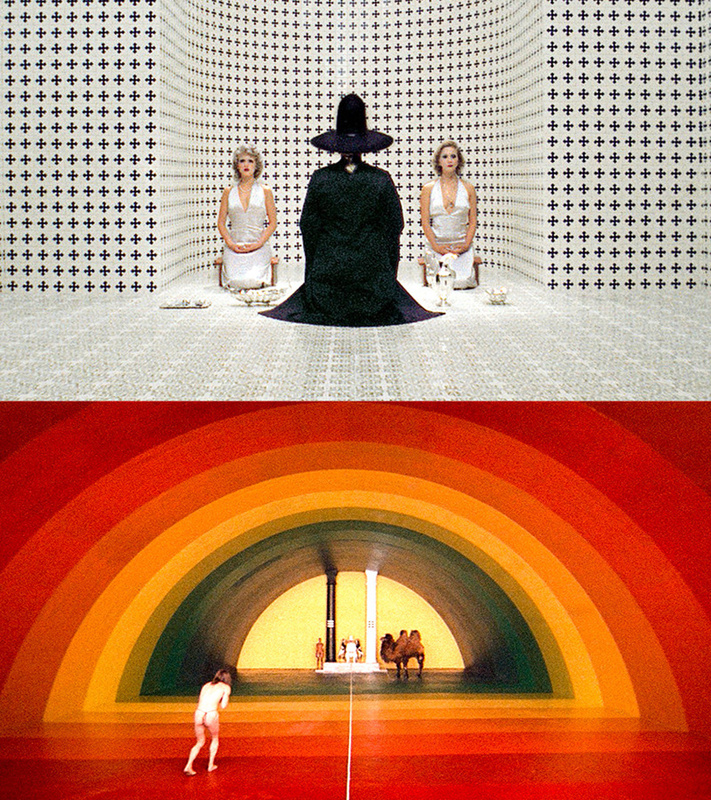 In 1973’s The Holy Mountain, Alejandro Jodorowsky depicts the spiritual quest for enlightenment of a thief and his band of accomplices—they are led by the Alchemist to Lotus Island, where they climb the Holy Mountain to meet with the Immortals, who guard the secrets of the universe. This film, while fiction, becomes a non-fiction work in its final moments, pointing us back into life. Coming down off the mountain, the world has been transformed, and there is newfound magic in normal experience. Suddenly, the very fabric of perception is alive, and reality is pregnant with meaning—messages everywhere, everywhere signs. Prophets walk the streets, and one of them is Speed Levitch, a New York City double-decker tour bus guide with an ecstatic vision of life. 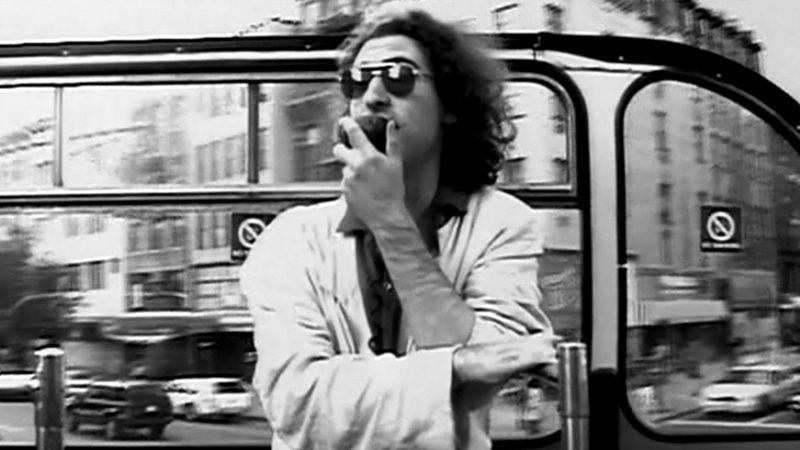 Bennett Miller’s 1998 film, The Cruise, is a portrait of this modern American mystic, who freestyles sermons to busloads of unsuspecting tourists, shaking them out of their daze. When the euphoria subsides, there is the poignant beauty of ordinary life, with its simple fragments of poetry, sadness, humor, and joy—constantly changing and passing. a seagull over the water. 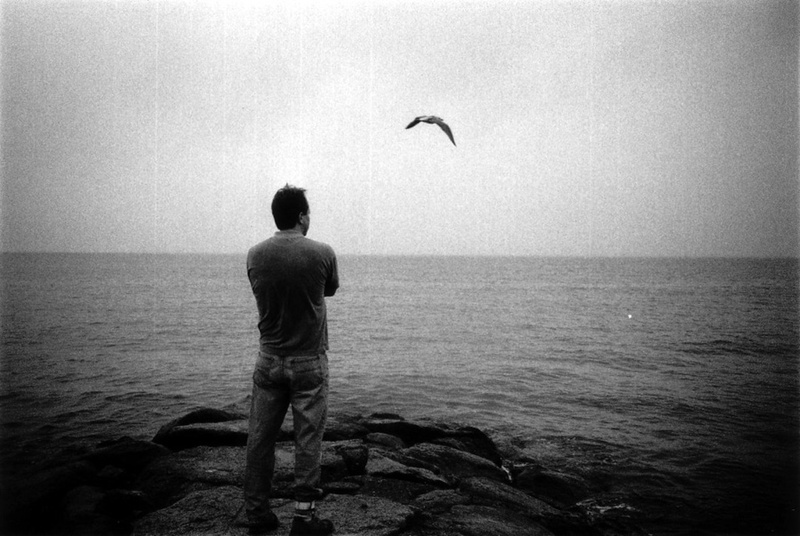 In the small town of Woods Hole, Massachusetts, Jay Allison makes audio recordings of everyday life—portraits of the people and places that form his community. These poetic Sonic IDs come on the radio in between the news, helping us smile at our brief little lives—cresting waves on the ocean of time. And on this ocean of time, how do we navigate? When the old maps of science and religion no longer apply, where can we look to find guidance? Increasingly, we look to the Internet, where we cobble together our personal mythologies—a sacred text for each of us, as unique as what we’ve browsed. 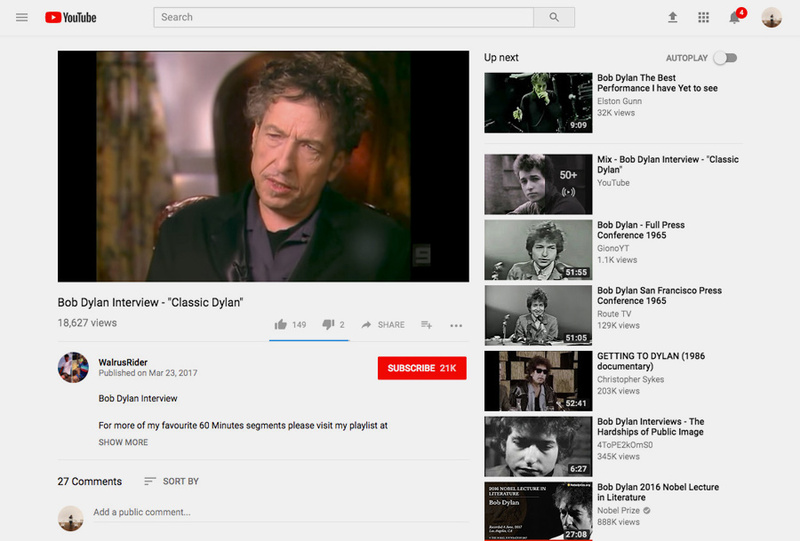 I like to wander the wilderness of YouTube, following its recommended connections, exploring the collective mind. At times, this can feel like a magical process—videos play, insights occur, beliefs evolve, and reality shifts, for what is reality if not belief? In my wanderings, I came across The Nature of Order, a 2,000-page magnum opus by the architect Christopher Alexander. In it, he posits that space itself is alive, to a greater or lesser extent, and that this is not only subjective but objectively true—that if you ask 1,000 people which of two streets, or two rooms, or two teacups, is more “alive,” 950 of them will agree. He posits that the life of space is dependent on the number of “strong centers” it contains, a view of life that resonates with the insight of Powers of Ten, as mentioned above. Alexander outlines a process for creating life in space, which he calls “The Unfolding Process.” It goes like this. In any given context, you ask yourself three questions: First, what is the weakest part that could be healed? Second, what is the strongest part that could be strengthened? Third, what is the simplest way to accomplish these things? 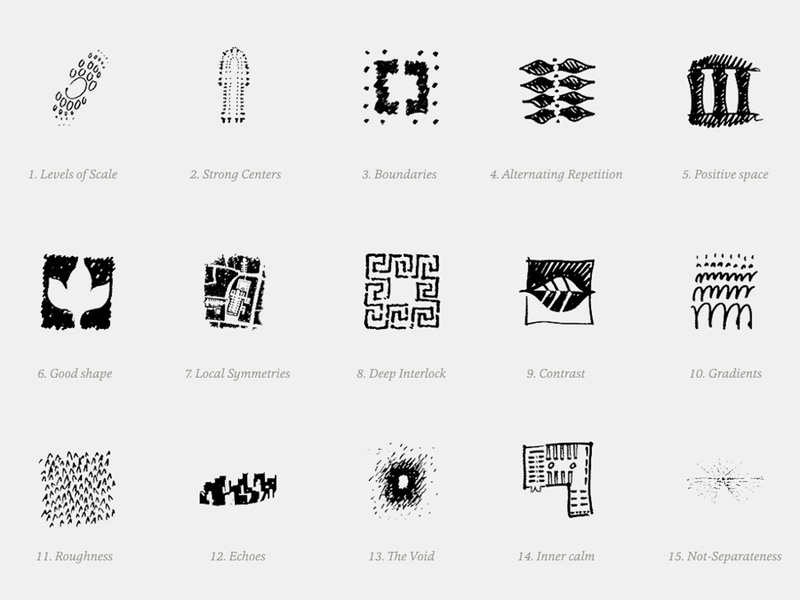 He offers fifteen “fundamental transformations,” or design moves, that can help with this work. When the process is repeated thousands of times, places come to life, people feel more complete, and communities flourish and thrive. For Alexander, the act of making is essentially an act of healing—healing a place, and in the process, also healing the maker. To Alexander, cities, buildings, tables, and teacups are all alive, just as we are, as we all emerge from the same fabric of space, which is itself a living substance. 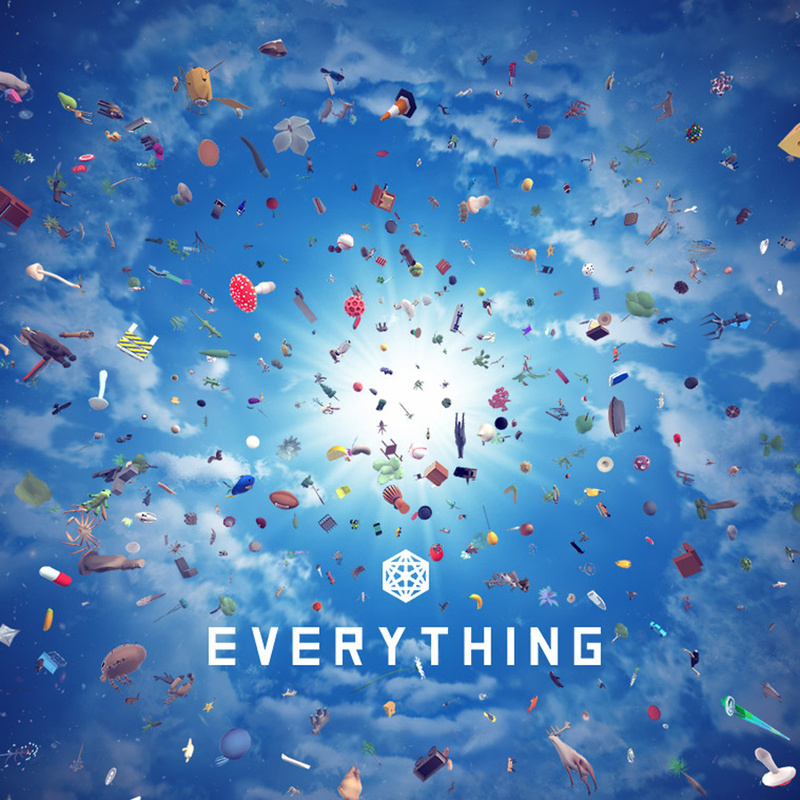 David O’Reilly’s 2017 video game, Everything, is described as a “consciousness simulator,” and allows you to become anything from a molecule, to a bacteria, to a snow leopard, to a street lamp, to a forest, to a planet, to a galaxy. Forty years later, it makes palpable the basic insight of Powers of Ten—that at every scale, it is the feeling of being “at the center” which is the essence of life. 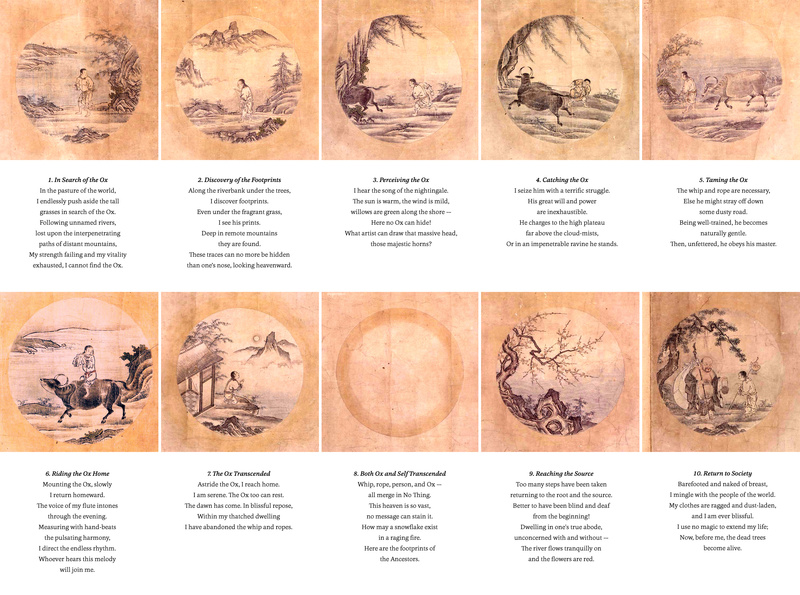 Everything is narrated by old recordings of Alan Watts, who helped to popularize Buddhism in the West, through books like The Spirit of Zen, which mentions the Ox-Herding Pictures. His words, and Everything itself, feel like an integration of many of the questions that have shaped my life until now. So where to go from here? Looking around at our world today, it can seem as though everything is in crisis—politically, economically, ecologically, and emotionally, the systems and structures we’ve built can no longer sustain us. It can be tempting to want to escape, and with the advent of virtual reality, we begin to wonder whether, by starting over from scratch, we might be able to design a better world than this one. When my mother died in early 2016, I was with her at home in Vermont. A few minutes after she died, I felt a strong desire to open her eye. When I did, I saw the same eye that I had seen so many times before, but now it was missing something ineffable. In that moment, I felt as though my mother’s body was her spacesuit, allowing her to live in this world, with its strange phenomena of time, space, touch, choice, and emotion, and the feeling of being a person. Her body was her spacesuit, but it was not her, and where she was then I could no longer say. I looked at my own living hands, and out the window at the sun setting over the mountains, and I realized that these human bodies—these spacesuits—are the ultimate virtual reality machines, providing a completely convincing experience of a self-consistent world. The technological quest to make perfect VR suddenly took on a futile dimension—overlooking the fact that we’re already here in these bodies, experiencing a world that is more vast and subtle, more poignant and beautiful, more elegant and complex, than any virtual world I believe we will ever create.